They say exercising on tired legs is beneficial, so I drag myself on to the bike today. It was either than or a 4-5 mile ‘recovery’ run and personally I’d rather bike. Then there’s the little matter of tennis to negotiate. Which my opponent has billed as the ‘season finale’, which I think means I can finally put away my racquet until next summer. It looks like there could be a nice cross court breeze tonight, it's actually quite cold as well, but it should stay dry. Which is a shame really. Sometimes I enjoy drying the court out with the squeegee gadget more than the tennis. I’m so pleased to get to 5-5 in the first set and particularly to come back from 0-2 0-40 down to lead 3-2, that everything else after that passes me by, including the eventual straight sets defeat. That come back from 0-40 down was very enjoyable, winning five points in a row and containing, as it did, some high memorable double faults from my opponent. Afterwards he proposes another ‘season finale’ next week, oh no, oh alright then, if we must. 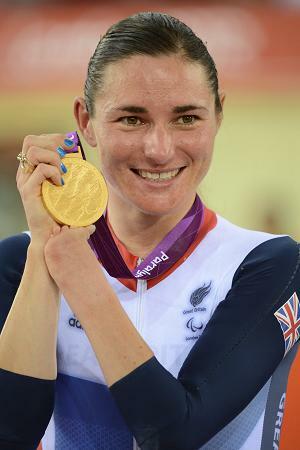 I quick mention of the Paralympics, mainly because cycling is one of my things, so I have to mention Sarah Storey’s very impressive defence of her Individual Pursuit title. Of course we already knew Storey was pretty useful and she has won titles with the full GB squad but tonight she caught her opponent with almost half of the 3km distance still to ride. Not only that, her time in qualifying of 3:32.170 was a track record for any woman, beating Jo Rowsell’s winning ride at the World Cup event there in February. Though it’s still some serious distance off Sarah Hammer’s world record. It’ll be interesting to see if Storey, at 34, can beat off the younger competition and get a ride in the upcoming World Cup series and maybe even next year’s World Championship.